A cropping system is the sum total of all crops and the practices used to grow those crops on a field or farm. Even a simple cropping system is quite complex in terms of interactions of plants with soil, soil organisms and crop pests. Monoculture: the production of a single crop in a field. 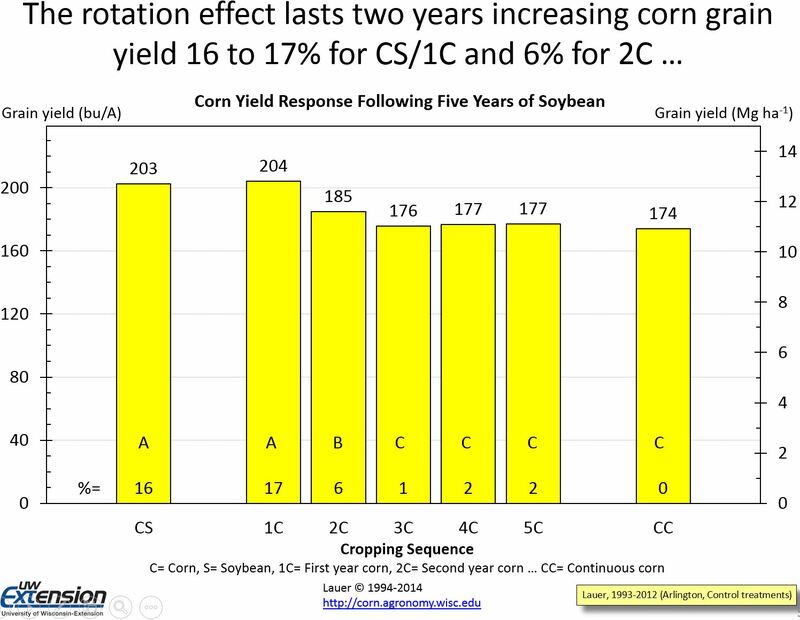 This p: a cropping sequence on a field that includes more than one crop over many years. Benefits have been know for many years, though types and size of benefits have changed over time as technology developed. Need to find balance between economic return and productivity or sustainability. 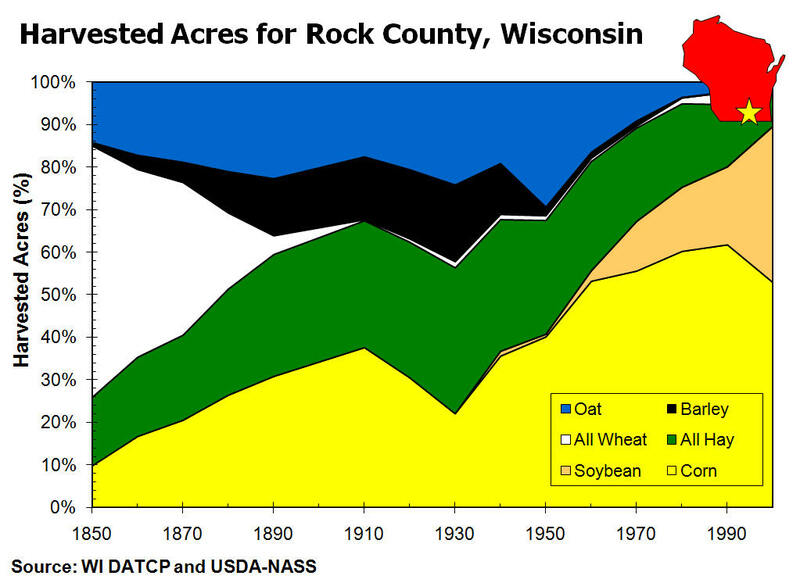 Prior to 1940, four year rotation for livestock-based system. Limited or no availability of pesticides, limited power and equipment, and labor intensive. r no availability of pesticides, limited power and equipment, and labor intensive. After 1940, rapid mechanization, use of corn hybrids and nitrogen fertilizer, and better power and equipment changed the cropping system. No longer livestock based and dependent upon complex rotations. Developed into a grain cropping system. 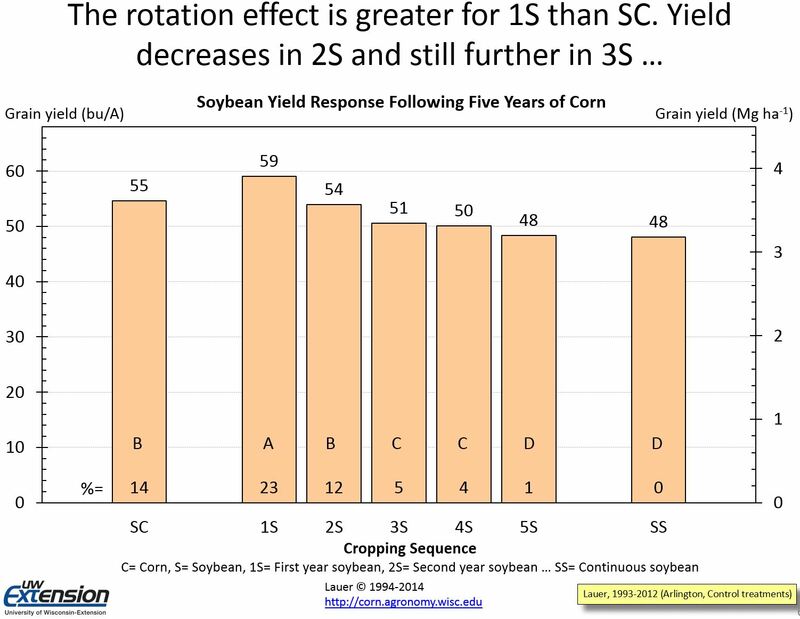 Compared to most cropping sequences used in the world, the corn-soybean rotation is relatively young. 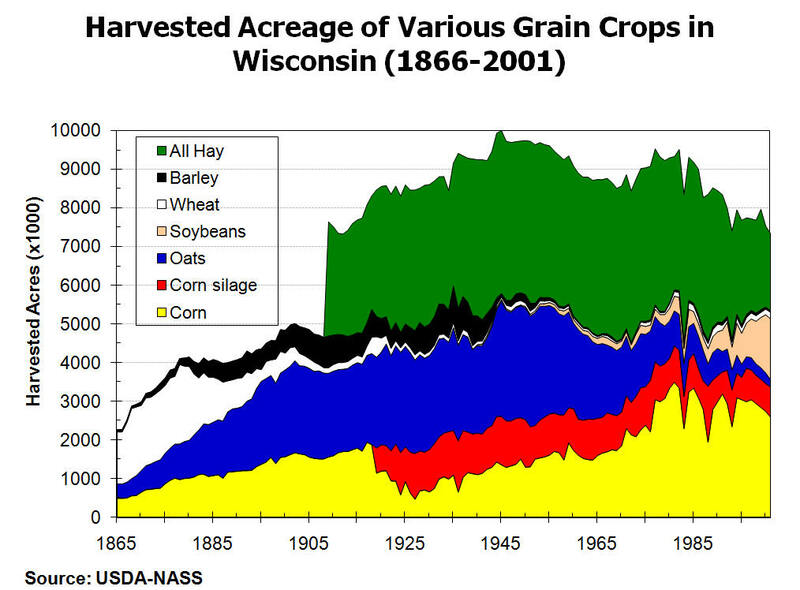 During most of the 20th century corn was planted following a legume like alfalfa or clover. Only recently has the legume become soybean. Reasons for response are unclear. Most likely rotation effect is complex with small and interacting effects on soil microorganisms (both harmful and beneficial), nutrient supply, insects, soil structure, and other chemical, physical, and biological factors. MN: same hybrid planted in sequence tended to yield less than when a different hybrid was used the second year. Suspect mychorrhizae effect on corn roots. Rotations are the "black box" of agronomic sciences. Response is almost always measured, but it is unknown how and why the response occurs.